Note: Today is day 26 in my series "30 Days of Thankful." If you've ever watched tv, you've seen commercials for depression medication. My personal favorite commercial is for the woman who's a wind up toy who just stops moving at one point. I feel like that's a fairly accurate depiction of depression. I've been depressed in the past. Who hasn't? But after my break up a couple months ago, I realized I was really struggling with depression. It was hard to get out of bed in the morning. I was crying all the time. I missed a lot of work. I couldn't focus on anything besides being sad. I realized that I had two options - I could languish in sadness forever - or I could seek help in the form of medication. Tree hugging Roxanne is generally not in favor of medication, but...life is too short and I was really sick of being sad. I tearfully called my physician who'd seen me the week after my break up and had suggested I take anti-depressants and sleeping pills then. When I'd originally seen her, I didn't realize how much my "loss" would bring me down. But it became pretty clear that this wasn't something that I was going to easily get over on my own. In a period of a week, I'd been broken up with, I'd moved, I'd given up half of my belongings, and I'd taken a pretty significant financial loss. This would be a lot for anyone to deal with. And I wouldn't define myself as a person who accepts change very easily, so mix all of these things together and I was a hot mess. Thankfully, my doctor was great. In a matter of minutes, she'd emailed in a prescription for me for Prozac. To be honest, I was nervous about taking Prozac. Google the word "Prozac" and you'll see all sorts of awful things. You can read about the awful side effects. Crazy things that people have done while taking Prozac. I honestly found very little positive info about taking Prozac. But I figured I was at rock bottom and even if I got literally every side effect but the Prozac helped me to make it through the day it would be totally worth it. And I can honestly say that it was. 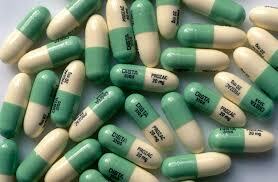 For me, the best way to describe my experience with Prozac is to say that it makes me comfortably numb. I used to be sad, obviously, but even before the life altering chaos started in my life I was someone who was anxious a lot. I was stressed out. I suffered from insomnia. The nonstop noise in my head overanalyzing every aspect of my life was sort of maddening. But now? It's a whole different ballgame. I see the world in a completely different light. The noise in my head has been quieted. I don't see all negative all the time. I want to go out and do things and see people. It's like I've regained a sense of purpose. Like I've gotten Roxanne back. Only. this Roxanne isn't a Roxanne that ever existed before. I'm a better version of me if that makes sense. So for today, I'm thankful for my depression. Taking anti-depressants has greatly improved my life. Had I not hit rock bottom with depression, I might not have sought out the help that I needed. In hindsight, I've probably struggled with depressin for years and I only wish I'd taken this step so much sooner. So if you're reading this and feel like you're carrying a heavy burden that's too much to bear, I'd really encourage you to seek help. It might just change your life forever.